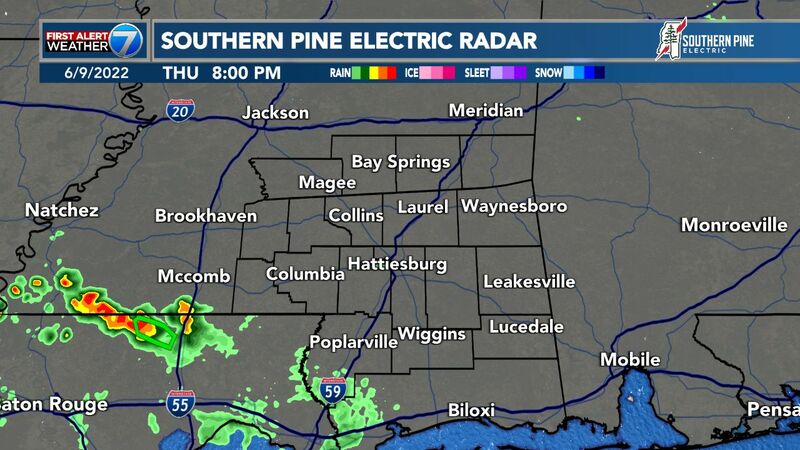 HATTIESBURG, MS (WDAM) - Tuesday will feature a line of showers and storms that will push through the area between about 5 a.m. and 8 a.m. As of now, the threat for severe weather look minimal, but not zero. Most places will just see rain and experience some decent wind gusts. Only a few spots will see thunderstorms. And even fewer will see stronger storms. Even fewer still have a chance for a severe storm. The chance for rain on Tuesday morning will be around 70 percent. The chance you are one of the unlucky ones that sees a severe storm is down below five percent. In the afternoon, the rain clears out but we will likely keep a lot of the cloud cover. High temperatures will be in the mid 60s. Wednesday and Thursday we will get back into some sunshine with highs in the upper 60s and low 70s. No real threat for rain. By Friday, we will get another chance for rain again. Highs will be in the 70s still. Rain chance around 40 percent. The rain clears out into the weekend, with high temperatures back into the 60s with the return of sunshine. Beyond that, model guidance is shifting our weather pattern to show another brief cool down around February 20. That will likely bring a chance for rain with it, too. 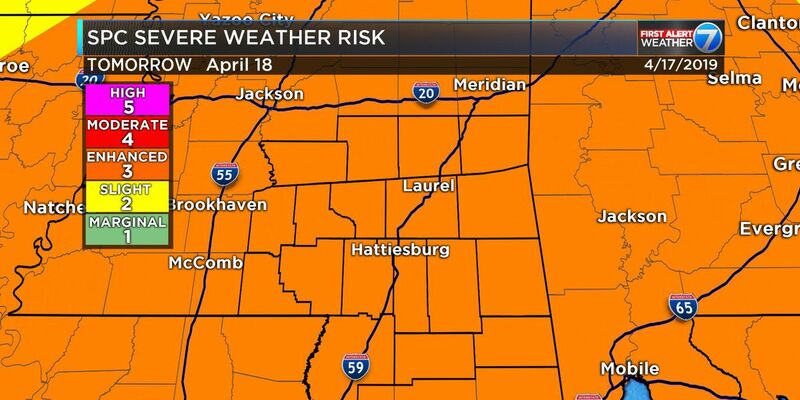 Severe Weather Outbreak expected today across the Pine Belt.